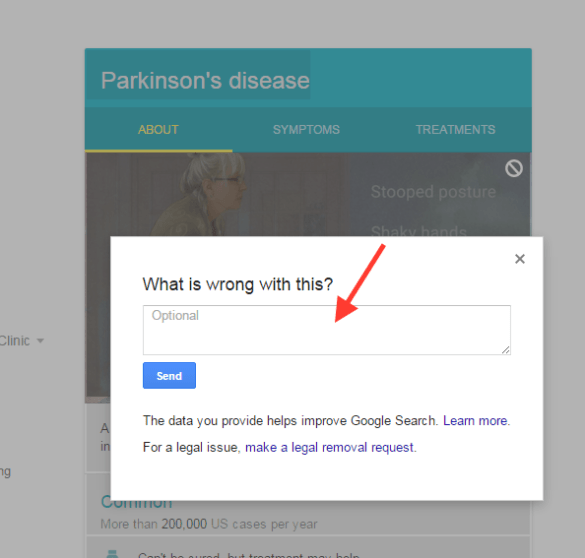 “As a small step toward eliminating the confusion and misinformation surrounding Parkinson’s, I am asking fellow members of the Parkinson’s community to join me in providing feedback to encourage Google to remove the illustration,” writes Chad Walker in his blog the ‘Man Behind The Maven’. 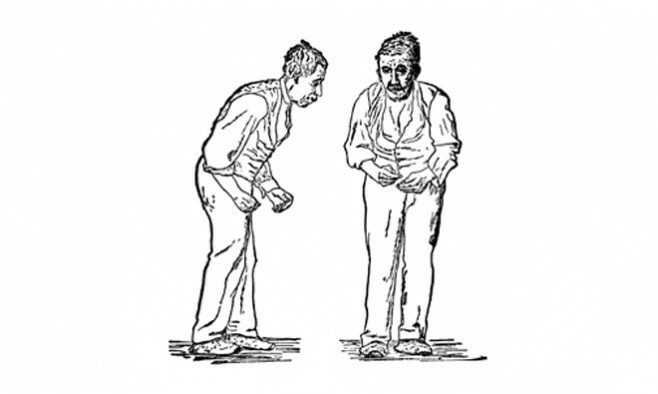 Chad began this campaign in response to the information and images that appears on one of the world’s largest search engines, Google, when the term ‘Parkinson’s disease’ is typed. Chad says that as a husband, carer and member of the Parkinson’s community, he understands all too well the negative impact of the misperception that Parkinson’s is a disease that only affects the elderly. His wife is long-time young-onset Parkinson’s disease awareness campaigner Tonya Walker AKA ‘The Shoe Maven’, who uses her passion for fashion to encourage other patients who fall into a lower age bracket to live life to the full. Chad appreciates that this one image, viewed in isolation, may seem like a small thing, but believes that it presents serious concerns when the far-reaching impact of Google’s Knowledge Graph is considered. He is campaigning for people to get in touch with Google, to let them know that their information is misleading. One way of doing this is by submitting a request to remove or change the image through a feedback link that appears in the Knowledge Graph. 1. 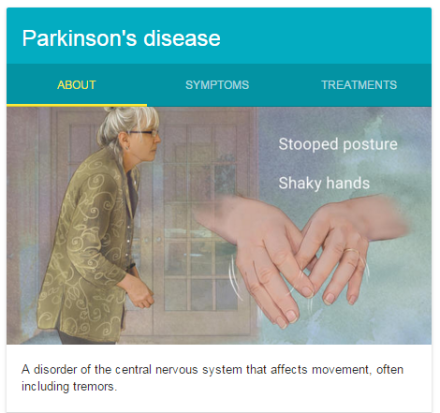 When you enter the search term ‘Parkinson’s Disease’, the Knowledge Graph will appear to the right of the screen. 2. Click the arrow to expand the graph (circled above), you will see additional information including the link to submit feedback. 3. Once you click on the feedback link, a message appears instructing you to select the area of the Knowledge Graph that contains the error. 4. Click on the illustration, a pop-up message box appears where you can enter feedback. 5. Enter your message and click the ‘Send’ button. Use the following letter as a template for your feedback, and feel free to add any other comments. 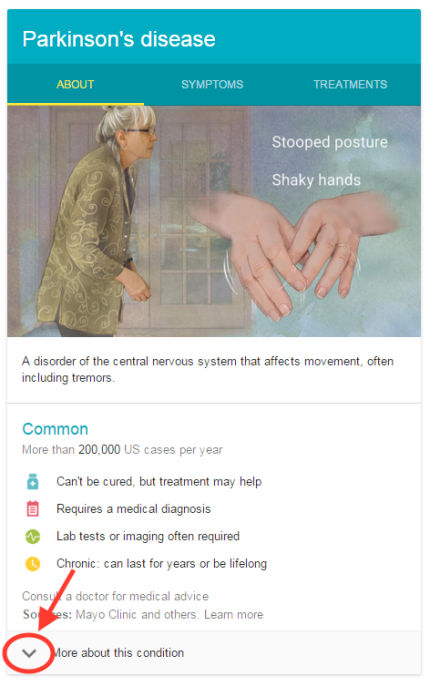 “The illustration in the Parkinson’s disease Knowledge Graph of an elderly woman with stooped posture and shaky hands is not representative of the wide range of ages of those affected by Parkinson’s or the varying symptoms they experience. 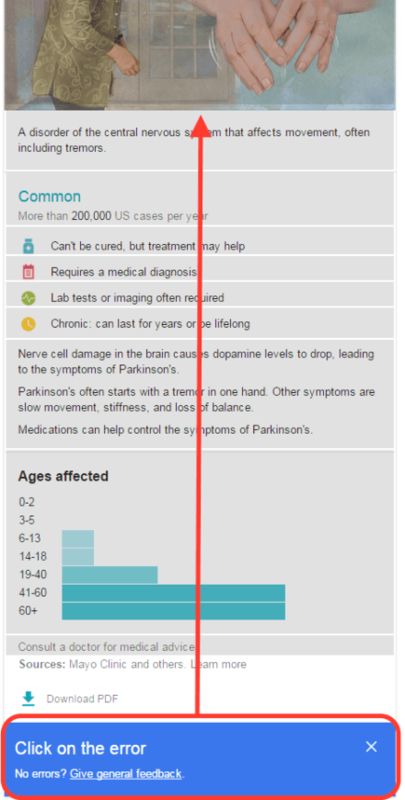 Unfortunately, this image perpetuates the misconception that Parkinson’s is a disease that only impacts the elderly – in contradiction to the bar graph of ‘Ages Affected’ that appears in the expanded view of the Knowledge Graph. Read Chad’s full blog post here.